"All right, we've got an action movie starring Channing Tatum, Jamie Foxx, Jason Clarke, Maggie Gyllenhaal and James Woods. What should we put on the poster? Olympus Has Fallen already used destroyed images of the White House and all the Photoshop cliches. Maybe we can just have Channing Tatum standing next to the president, guarding him?" said the marketing executive. But then, some guy down the hall says, "Hey, my Mom just went to Washington DC and she took this great photo." Brilliant! Seriously, we're excited for White House Down (there's a trailer tomorrow), especially after the waste that was Olympus Has Fallen, but this is lame. Everyone has a photo like this from their school field trips. I disagree. I think the poster is perfect. Especially, after the marketing of Olympus Has Fallen, and Roland Emmerich's knack for destroying monuments. Its definitely A-typical. Hey man don't get too worked up, Ethan and especially Alex like to trash a lot of great posters on here. The may have sort of an understanding when it comes to movies, but posters haha buddy zero. Remember when Alex trashed the poster for the academy award winning film Lincoln, I mean that was unbelievable. It's no surprise seeing this poster trashed too by another great editor, maybe it's just missing explosions or guns for them. Maybe it needs those people on fire to attract their attention spans. Ah, good. It's been awhile since we had a hasty generalization. There's nothing here that indicated we think White House Down is an Oscar movie. First of all , we trash the poster. Second of all, we say "we're excited" and that's the case with plenty of non-Oscar movies. Third, you're talking to one of the few people who mostly enjoyed A Good Day to Die Hard despite all its flaws. Critics have the ability to enjoy stupid action flicks sometimes, but Olympus Has Fallen hasn't been one of them for a number of different reasons. Don't steep to his level Ethan, you guys aren't pretentious critiques, you know what you're talking about, yet don't try and act high and mighty. 99% of the people who use your site are more than likely aware of that. You're right. Critics should just be paid to shut their brains off and enjoy any movie that provides "action," just like you do. How productive for our society. While there are plenty of people like yourself in the world, there are also plenty of people looking for intelligent movies that provide more than silly action sequences that resemble real life in no way whatsoever. What I can't figure out is why people like you even read reviews. You are clearly entertained by anything, so why do you care what some critic thinks? Just go watch your stupid action flicks and leave the guys and gals who have a job to do alone. 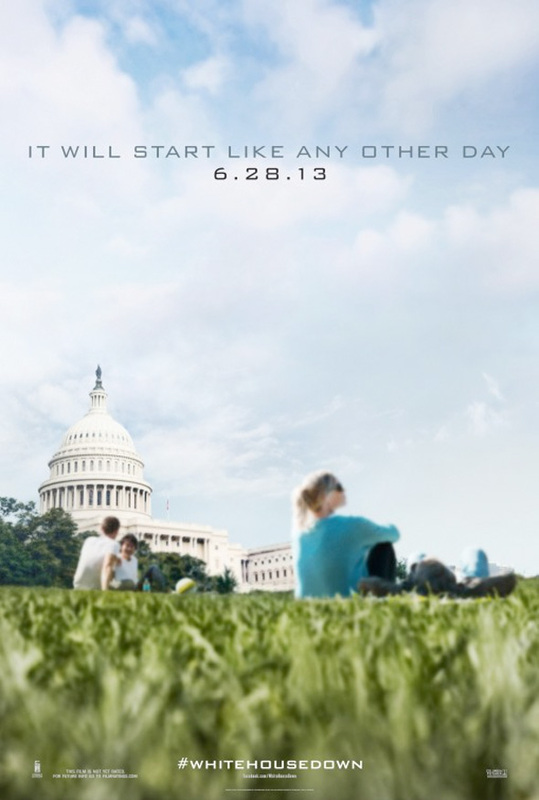 I think it makes sense in terms of the tagline "It will start like any other day". A casual picture of people going about their everyday business is ideal. 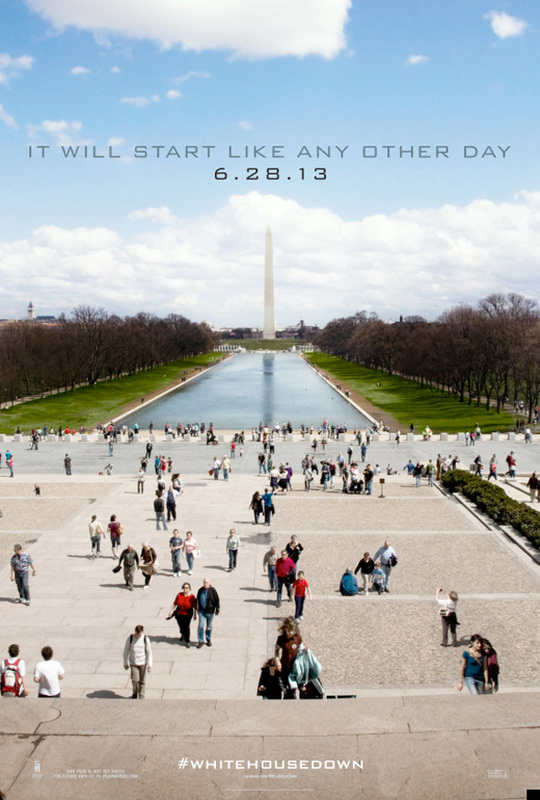 i don't know if you all realise its a teaser poster, meaning: hey why does this picture of a national monument, have the worlds "It will start like any other day"
It's great. It subverts our expectations, and it would be cool if it's the first in a series, and they could blend before and after shots on motion posters or holographic posters...with the destroyed momument and dead corpses in the next one. Or just have this as a simple teaser. It makes you want more and is completely different from Olympus Has Fallen so no comparisons can be drawn. Good poster, better than most these days. I literally just got engaged this past weekend and the spot where the camera is in this photo was the exact place where I proposed. That's a lot of words for one word. "Olympus..." was a waste? Heck, "A Good Day to Die Hard", WAS the real waste!!! I think that's the point of the poster to make it seem normal, I think they really wanted it to seem like anyone could of taken this picture, which refers back to the tagline. Well, I for one LOVE these posters! They're really genius! Subtle yet intriguing.